Amazon recruits 5,000 UK corner shops for new delivery option! For once it's not mobile phone or tablet news that gets the big story here on TTF. This time it's Amazon and a rather big announcement for our UK readers. Most of us here in the UK shop on Amazon for cheap books if your a student, birthday and christmas presents if you're a parent or maybe you shop there because you need something to splash the cash on. Either way you probably get the item delivered to your house, but then you're not always in are you and the lovely postman puts this little red slip through your post box saying you weren't in (shocker) and that you have to go to your local depot at obscure times to collect your parcel. Well, Amazon has heard the problem and has enlisted the help of local shops for a new scheme called CollectPlus. At the moment the scheme is in the trial phase, but it's widely expected to pass with flying colours. Essentially at the check out you will pick CollectPlus, choose your shop to deliver to and a couple of days later you can pop in on your lunch break and get your parcel. Perfect! Obviously this scheme has those people who work 9-5 firmly in mind because everyone knows the hassle of trying to collect undelivered parcels when you work! This will let you collect them at lunch or, if your shop is open late into the evening, the chance to pick it up after work!!! And if it turns out you don't like your item simply take it back to the shop and CollectPlus will return it! It's such a great idea it's hard to believe no ones thought of it before! This is definitely something useful for UK residents and hopefully we'll see it very soon! Lenovo announces the LePhone K860 with a well ticket spec sheet! 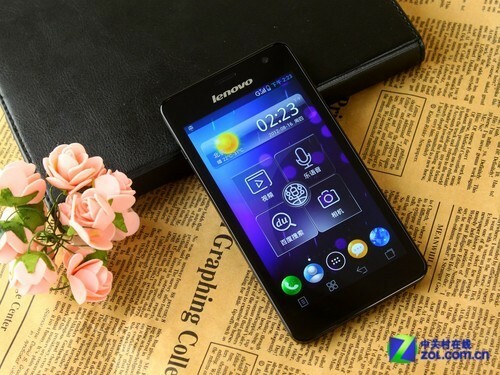 The image above is a picture of the upcoming Lenovo phone K860 "Music Phone" LePhone. On the surface this thing is looking like a not so little beast! On board there's a quad-core 1.4GHz Exynos 4412 chip, Mali-400MP GPU, 5-inch (1,280 x 720) display, 1GB of RAM and all of this inside a 9.6mm-thick chassis which makes this one pretty little device. On top of these there's an 8-megapixel snapper with support for 100 frames continuous shooting and 1080p video recording, in addition to the 2-megapixel camera around the front. Just in case you were worried all of those would kill your battery you need not because Lenovo will supply you with a 2,250 mAh cell to help keep you going. This will all be running on Android 4.0.4 too! Unfortunately we don't currently have any word on price or availability, but in the meantime Samsung might have something coming to take your mind off of this one! The guys over at XDA have once again done what HTC deemed impossible, by creating a version of ICS (Android 4.0.4 to be precise) for the Desire HD. This is a ROM built off the official ROM for the Incredible S. Head over to XDA if you need some Sense 3.6 in your life! Acer has managed to push themselves into the positions as the world's third biggest computer manufacturer! And with such an honour comes a very small little profit; $14.5million to be exact. Not much but a lot better than most! If you're as hyped about Black Ops 2 as we are here at TTF then you'll be needing some BO2 customised Turtle Beaches for all your sound whoring. If that's the case and you feel an upgrade is required then head over to Engadget to get the round up on the incoming releases! And just in case we needed any more confirmation that Windows RT tablets would be a cheaper option, Lenovo's , David Schmoock, Senior VP of Lenovo's North American division, said to Bloomberg that full-on Windows 8 tablets would set you back between $600 and $700, whereas ARM-based Windows RT slates would sell for $200 to $300 less. "RT will play in consumer and retail at very aggressive price points," he said. Twitter has begun locking down their API by giving unofficial Twitter apps 100,000 unique user tokens and for any app that exceeds that will require special permission from Twitter themselves. Twitter obviously wants to push you to use their official app the same way you use Facebook's own app. This one might not be for the best though. Sony has explicitly denied that there will be any price cuts on their PS Vita console inside 2012, sorry guys no cheap christmas presents here! Google Play giftcards are on the way! If you're a US reader your local Target or other similar store might have a box of them ready to go! Look out for more news as it happens! Sony have started pushing Android 4.0 to Xperia P owners, if you've got an Xperia U or another NXT series device hold tight there's more of that sandwich coming soon.